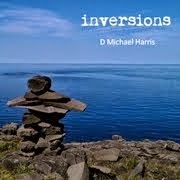 A collections of original songs I wrote in 2015, and recorded with the FreeWay Musical Collective. Click the album image to listen. Recorded in 2014, these songs are sort of a chronicle of my journey through a pastoral burn-out last winter. They deal with themes of mental-health, spiritual burn-out and depression, but also with the inexorable presence of God in the midst of darkness. Click the album art to download. 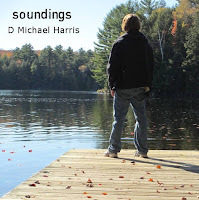 "soundings" is a collection of songs I recorded in September/October of 2013. Dealing with themes of hope, ache, trust and spiritual loss, the songs on this album express various facets of my journey with God. 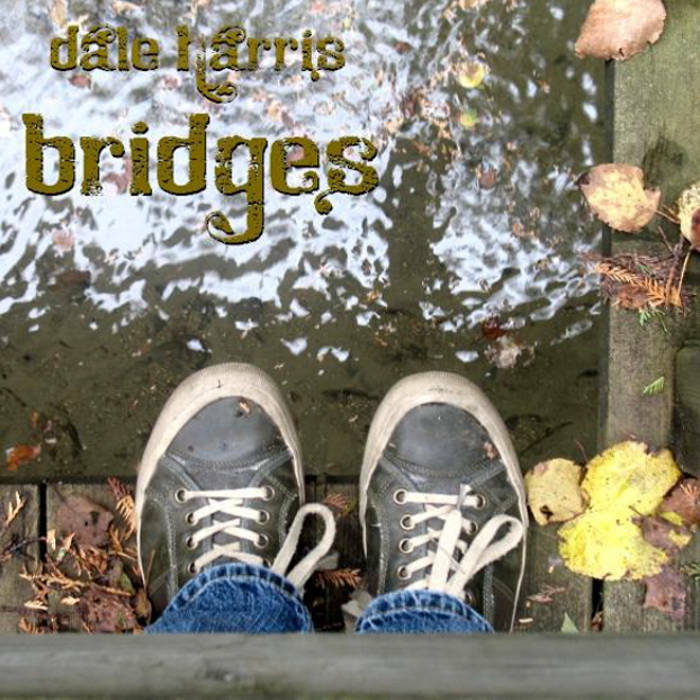 "Bridges" is a collection of original songs I wrote in the summer of 2011, during a soul-searching trip I took out to Alberta; a sort of long twilight in the dark night of the soul. I share it here in hopes these musical reflections on my own spiritual journey might be an encouragement to others: the sun does rise, blood-red but beautiful. 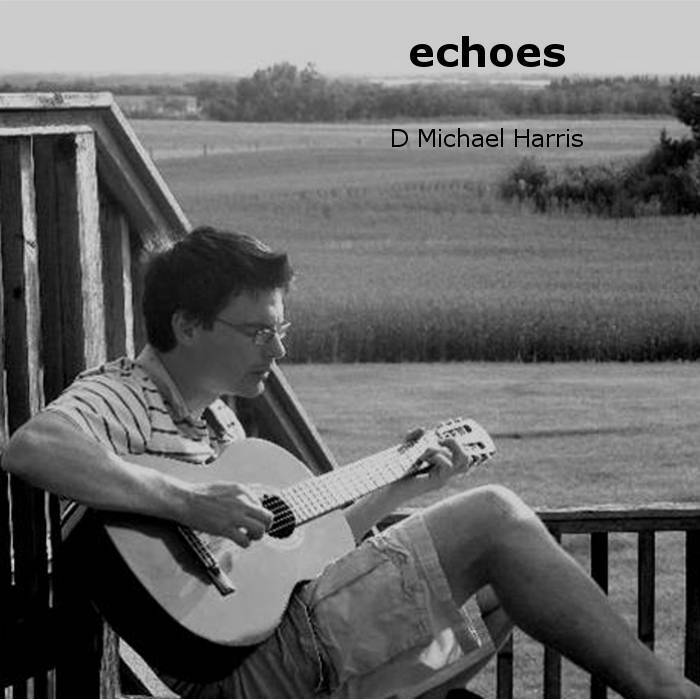 "echoes" is a collection of songs I wrote during my time studying at Briercrest Seminary (2004-2009). It's called "echoes" partly because these songs are "echoes" of times spent with God from my songwriting past, but also because there are musical "echoes" of hymns, songs or poems sprinkled throughout the album. Listen closely and you'll hear them. 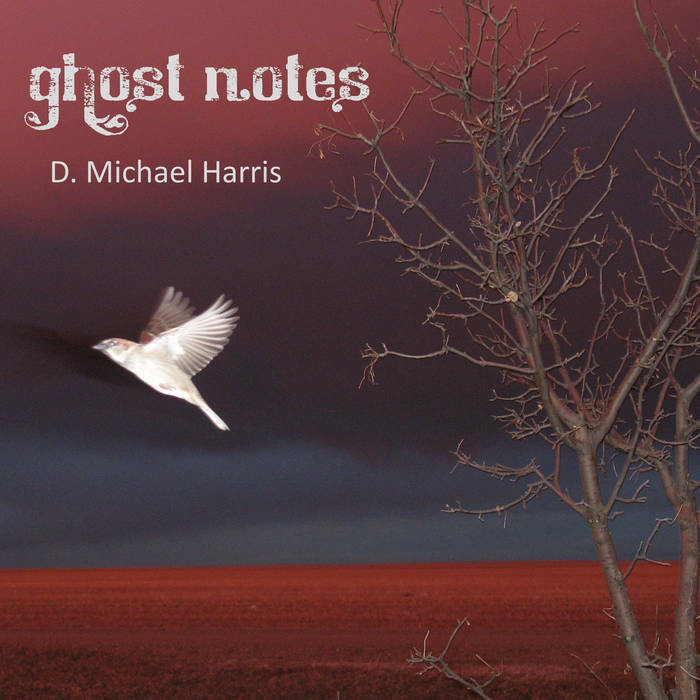 This collection of mostly blues/rock/folk inspired songs was recorded in the spring and summer of 2015. 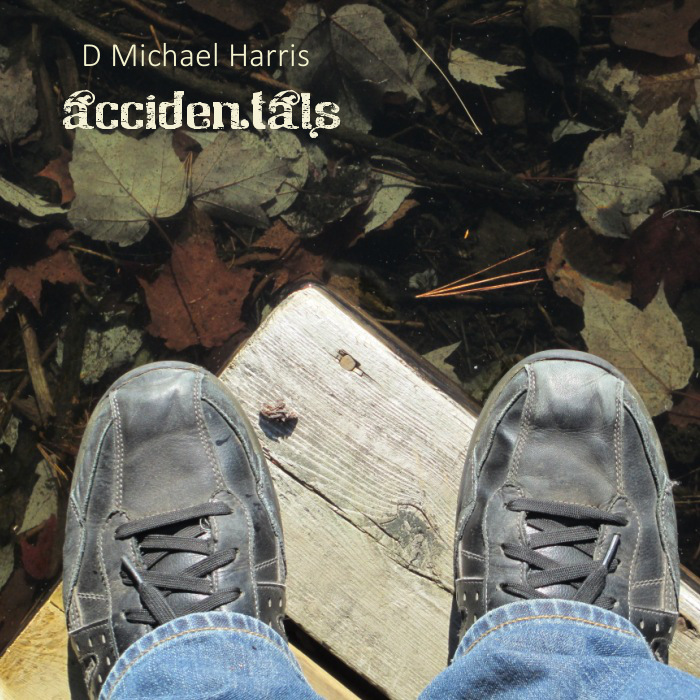 I call it "accidentals" because all of the songs on this project were tunes I have had kicking around in my notebooks for many years but had never found a "home" for on previous albums. You can click the image to download the whole album. In this very readable, very thought provoking analysis of electronic communciations technology and its impact on our brains and culture, Nicholas Carr brings together media theory (think Marshall McLuhan), history (think Gutenberg) and neuroscience (think discoveries in brain plasticity) to show how computer technology is shaping us in ways of which we are only dimly aware. He argues that such technologies reduce our capacity for deep, creative and sustained linear thought (or at least have the potential to do so) and predispose us to the fragmented, the cursive and the superficial. Worth the read. A fascinating and engaging introduction to spiritual theology-- or the theology of spirituality, as the case may be. This book is a very scholarly, devotional, christo-centric, ecumenical and trinitarian overview of what it means for Christians to live in the Spirit and with the Spirit within. Bracing and enlightening. Snell's Life in the Ancient Near East offers a social history of the ANE, tracing the earliest settlement of Mesopotamia, the development of agriculture, first cities, ancient economy and the emergence of empire. Bringing together a rich variety of data gleaned both from the archaeological record and extant historical texts, he tells the history of this cradle of civilization with a special eye for the "human" element - focusing on the forces and factors that would have directly affected the daily life of the various strata of society. Worth a read generally, but all the more for someone with a particular interest in the biblical stories that find their setting and draw their characters and themes from the same provenience. Davidson's Old Testament theology of human sexuality is stunning in its achievement, challenging in its content, and edifying in its conclusions. Davidson addresses every-- and I do mean every-- Old Testament text that deals (even obliquely) with human sexuality, and, through detailed exegesis, careful synthesis, and deep interaction with the scholarly research, develops a detailed picture of the Old Testament's vision for redeemed human sexuality. 700 pages of Biblical scholarship at its best. Bill McKibben's Eaarth, is a call for us to wake up smell the ecological coffee...while we can still brew it. Unlike his previous work, or any writing on ecology I've yet read, however, Eaarth does not argue that catastrophe is pending. Instead, he argues that catastrophe has arrived, and that our all talk about "going green to avert disaster," "and "saving the planet" is woefully obsolete. In ecological terms, the planet as we once knew it is gone, he argues, and rather than trying to "avert" disaster, we need to start figuring out how to live in the disaster that's happened. Key themes he identifies as important for life on planet Eaarth resonnated with me as profoundly Christian ways of being (disaster or no). We must stop assuming that "bigger" is better; we must acknowledge limits on economic and technological growth; we must get reacquainted with the land; we need eschew self-sufficency and nurture community. So fast and furious has the furor over this book been, that any review will inevitably feel redundant or tardy. Given the crowd on the band wagon by now, I actually had no intention of hopping on myself, but my kids got it for me for Father's Day. About 15 pages in, I realized that I could probably finish it in on good push, so I got it over with. My thoughts: probably the most over-hyped book I ever read; I loved it and found it frustratingly under-developed at the same time; while he raises some important issues, his handling of them reads like a yoda-meets-Tom-Wright account of salvation; nothing C. S. Lewis hasn't already said more clearly and more cleverly; I'm glad he wrote it, and I'm glad the Evangelical world has errupted over it the way it has, and I hope a much more spirited and generous and optimistic understanding of soteriology and eschatology will infuse the evangelical church's mission as a result. Rediscovering Paul, David Capes et. al. Rediscovering Paul is a hepful overview of Paul's life, times and theology. While at times I felt it might have gone deeper, or expressed its ideas more clearly, it provides some interesting and inspiring insights into the man behind the letters. Among these is its discussion of the communal aspect of first century letter writing, and the influence of one's community on one's personal sense of identity, and how those issues might have played out in Paul's writings. Another challenging issue that it tackles is the whole process of letter writing in the Greco-Roman world, especially as regards the role a scribe often played in shaping the text, smoothing out the langugae or providing stock phrases, etc. If you've read George MacDonald's Lilith, then think of Lavondyss as sort of a Lilith-for-Non-Christians. It's the convoluted labyrinth of a story about a young girl called Tallis and her adventures in a magical wood that brings the Jungian archetypes buried deep in our subconscious to life. Dense with questions about Jungian psychology, and the spiritually-thin-places of the world, and death and myth and magic and story, it's pretty tough slugging at times, but thought provoking and challenging. At times I felt like I was reading the Narnia book C. S. Lewis might have written if he had pursued the "stab of northerness" in directions other than the Christian Faith where he found it eternally satisfied. My friend John Vlainic once ranked Ben Witheringon as one of the strongest Biblical scholars in the Wesleyan tradtion working today. This thin but powerful volume is evidence to support such an accolade. I opened it expecting (judging by the cover) either a how-to book on Christian finances, or (judging by the other books I've read on Christ and Money) a hodge-podge of Bible verses taken out of context and mushed together as proof texts about the tithe. I got neither; instead, Ben Witherington walks slowly, thoughtful and exegetically through the breadth of Biblical teaching, with special sensitivity to the cultural context of the various texts, the tension between Old and New Testament teaching on the topic, and the differences between modern and ancient economies. If I were to recommend one book to develop a biblical theology of money, it would be this one. My first taste of Os Guinness, and, if you don't mind a mangled metaphor, it went down like a bracing pint of... well... Guinness. Grave Digger file is sort of a "Screwtape Letters" project on a church-wide scale. In concept, the book is a series of "training files" for an undercover agent attempting to undermine and ultimately sabotage the Western Church, delivered from the pen of a seasoned saboteur to a young agent recently assigned to Los Angeles. In plot, the young agent ultimately defects, and delivers the "Gravedigger File" into the hands of a Christian, urging him to alert the Church to the operation. It is bursting with "things that make you go hmmm..." and deserves a second, careful read with pen in hand, ready to mine it for its scintillating and eminently quotable lines. A six part analysis of the music of Bruce Springsteen. A six-part theological analysis of the popular Disney cartoon, Gravity Falls. A nine-part theological analysis of Hallowe'en. Welcome to terra incognita. I am the lead pastor of The Corner Church, a Free Methodist/Church of the Nazarene church in Oshawa Ontario, Canada. This blog is a space to share my theological musings, my devotional thoughts, my artwork and songwriting, my reflections on culture, and anything else that comes up and seems blog-worthy in the course of my life as a husband, a father, a pastor, and a follower of the Lord Jesus. I hope you find something here that is helpful to you. Once upon a time there was a scruffy little puppy who lived in a pet store on the corner of a busy street in the city. Scruffy little puppy was not like any of the other puppies. Sparky was fully of vim and vinegar and all the children who visited the pet store loved to play with him. But Scruffy Little Puppy had one lame paw and couldn’t run very well. Sophie had a beautiful curly coat and wore a bow behind her ears. All the grown ups who came to the pet store said how lovely she was. But Scruffy Little Puppy’s coat was all ragged and tatty. No one ever took any notice of Scruffy Little Puppy. No one loved him. And no one wanted him. One day a man came to the pet store and told the Keeper that he wanted a playful puppy for his little boy, and he was prepared to pay fifteen dollars for one. The keeper pointed out Sparky, bouncing around with his ball in the shop window. Another day, a young lady came in. When she saw Sophie’s curly coat, she said she just had to have her, and the keeper should name his price. The keeper said that Sophie was worth ten dollars at least. But no body ever came in asking how much Scruffy Little Puppy was worth. No one told the Keeper that they just had to have him. No one loved him. And no one wanted him. One day a nice-looking young man came into the pet store. Scruffy Little Puppy didn’t look up from his basket, but he listened closely. The Keeper scratched his head. Sophie had sold for ten dollars. Sparky for fifteen. But Scruffy Little Puppy wasn’t worth anything near as much as them. The kind-looking young man rubbed his chin. Scruffy hung his head in shame. Scruffy couldn’t believe what he just heard. Nor could the Keeper. He said, “Sold!” and put the money in the cash register before the young man could change his mind. And that was the day Scruffy Little Puppy went home with his new master. Sold for a hundred dollars! Well. Months and months went by. But the Keeper of the Pet Store never forgot the strange young man who had bought the worst puppy in the store for a hundred whole dollars. And one day, looking out the window of his shop, he saw that same young man walking past. He was holding a dog leash, and on the leash walking next to him was the finest-looking looking dog the Keeper had ever seen. The dog had a glossy grey coat. He walked with his head held high, and each step he took was so strong, and graceful, that you never would have noticed that he had just the faintest little bit of a limp. The Keeper was astonished. “But how?” He asked. He just couldn’t believe that this fine-looking dog was the same sad-looking puppy he had sold so long ago. “Don’t you see?” said the wise young man. “We are as lovely as we’re told we are. If you only pay two dollars for a dog, you’ll get a dog worth two dollars. But a puppy that believes he’s worth a hundred dollars, will become a hundred-dollar dog. The Keeper walked away scratching his head. He just didn’t understand. But God wants us to understand. Because in a way, what the nice young man did for Scruffy Little Puppy, by showing him just how much he was worth to him when he felt worthless an unloved, that’s like what God did for us. We were like the Scruffy Little Puppy, and Jesus is like the kind-young man. Because like the man in the story, who paid a hundred dollars for a puppy that no one else would even pay two for, Jesus gave his very life for us on the cross, when we were broken by sin and marred by selfishness. Jesus paid his very life for us, so that we could be with him, and so that we would know how precious we are to God. And that’s what God wants all of us to know. He loves us so much that he gave Jesus, his one and only Son, who died on the cross for you, so that you would no it for sure, that you are infinitely precious to him. Any church that wants to treat the Bible's teaching on marriage seriously will have to grapple, at the same time, at some point or another, with its teaching about celibacy as well. Few books I've read or sermons I've heard on the topic of marriage actually do this, treating Christian marriage as though it were some how the ideal, and ignoring the sometimes startling things the Bible says about the goodness of the single life. There are a number of Bible texts that laud singleness as a path for following Jesus, and often these texts present marriage, if anything, as a concession to those who are unable to walk it. If we wish to have a theologically rich understanding of marriage and singleness alike, I think, we will have to let these texts speak with their full weight. The first, and most obvious, is 1 Corinthians 7, where Paul addresses the Corinthian church on matters of marriage and celibacy. What stands out in this text is the way in which Paul seems to view marriage here as a good and proper concession to the frailties of our broken sexuality, rather than an arrangement that is somehow superior to singleness. “It is good for a man not to marry,” he writes (7:1), “but because of immoralities (porneia, sexual immorality), each man is to have his own wife and each woman is to have her own husband” (7:2). Later in the passage he will say that it is “good for the unmarried to remain single” (7:8), but if they are likely to “burn with passion,” they should marry. Here Paul lines up celibate singleness and marriage as equally legitimate expressions of Christian discipleship, though he is clear that he sees an advantage in singleness. The advantage, specifically, is that unmarried Christians are free to serve the Lord with an undivided heart, whereas married Christians have divided interests (7:33-34). Finally, it should be noted that in this passage Paul refers to celibacy as a “gift.” Given the fact that the term Paul uses here for gift (charisma) is the same he will use later to describe the supernatural empowerings of the Holy Spirit—gifts of healing, tongues, prophecy and so on—it should be noted that Paul does not single out singleness as a unique “gift,” as distinct from marriage. Rather he notes that for some the “gift” is to live a married life, for others it is to live a single life (7:6), but both situations are gifts from God and, presumably, require the empowering of the Spirit to live faithfully and well. Another passage that deserves careful reflection is Jesus’ teaching about “singleness for the sake of the Kingdom of God,” in Matthew 19. After hearing Jesus’ firm position on divorce and remarriage, the disciples respond that, given this view of marriage, it is “better not to marry” (19:10). Given the church’s tendency to see marriage as the ideal expression of the Christian life, Jesus’ response is fascinating, because he does not deny their conclusion. He simply states, with a line of reasoning similar to that of Paul’s in 1 Corinthians 7, that “not all people can accept this statement” (19:11); in other words, because most people cannot successfully embrace the celibate single life, marriage is the best alternative. He goes on to say, however, that those who are able to “accept” the celibate life should in fact “receive” it, offering a clear and unambiguous affirmation of celibate singleness. A church that takes the scripture’s teaching on celibacy seriously will recognize it, celebrate it and affirm it as a distinct and meaningful path for discipleship, one that requires the support of the Christian community if it is to flourish, one that is highly valued and respected in the teachings of the apostles and in the explicit word of the Lord, and one that makes as valuable a contribution to the community as do marriage and family. Similarly, churches that wish to be shaped by the Scriptures when comes to singleness and celibacy will reject the popular notion that in order to be effective a pastor must be married, or that marriage is a qualification for ministry. This is directly contrary to the plain teaching of the Bible, which, if anything, gives the advantage to the single pastor, who is less encumbered by the demands of a family and a household in the discharge of his or her ministry. At the very least, churches that wish to be shaped by the Scriptures in this matter will take intentional steps to offer a counter-culture to the highly sexualized culture of contemporary Canadian Society, to be a community where singles are affirmed and supported, and celibacy is embraced as a meaningful path for Christ.